NEW COMMITTEE MEMOS for the National Children’s Hospital raise questions as to why the board was reappointed in July when its members were aware the adjusted contract sum (ACS) was running €95 million over budget. The latest tranche of documents released to TDs shows that concerns at board level were being raised as early as the summer of 2017 about potential overspends. The documents also reveal the layers of committees that were in place to oversee the project, with some memos highlighting the need to avoid “duplication” in decision-making between the groups. Sinn Féin’s health spokesperson Louise O’Reilly said the minister reappointed the members of the National Paediatric Hospital Development Board in July and questions why he did so without a review into their performance or any detailed engagement with the project. “All the while the project continued escalate out of control and by August the overspend had risen to €191 million and the reappointed board was aware of these escalating costs,” she said. The Minister has made it very clear he reappointed the board for continuity. There would have been a vacuum otherwise. However in the letters of reappointment, the Minister advised the board that the Children’s Health Act gave him new powers to replace the board. The Minister awaits the outcome of the PwC report. However, he has made it clear he will take action if weaknesses are identified. The documents issued yesterday highlight more concerns about the project, with minutes of committees and subgroup committees revealing that in June 2017, the board discussed “the need for clear project controls, clarity of decision making and project milestones in addition to clear reporting on the budget”. Fast forward one month, to July 2017, the chairman of the board – who has since stepped down – agreed to proceed with the award of the construction contract as “some cost differences” were “not considered material”. In September 2017, the finance sub-committee noted that the HSE would require the 2018 forecast for inclusion in the estimates for 2018, a forecast of the full cost to completion and an indication as to whether the €983 million is likely to be exceeded. On 6 September 2017 both the finance committee and board were informed of a €61 million overall project cost increase. This jumps to €95 million over budget in June 2018. On 1 August 2018, the finance committee attached to the board reported that it was €180 million over budget. A couple of weeks later, just as Budget 2019 negotiations are getting underway, the board told the HSE on 17 August 2018 and Department of Health on 24 August that it was then €191 million over budget, and that the contractor had submitted additional claims of €200 million. On 3 September 2018 the board discussed how the overrun had reached between €235 million and €305 million over-budget. On 26 October, the board said the price was now almost €300 million over budget, though the final figure was not yet finalised. This jumped to €320 million a month later in November. The Taoiseach and finance minister maintain they were only told the figure of the overruns in November. 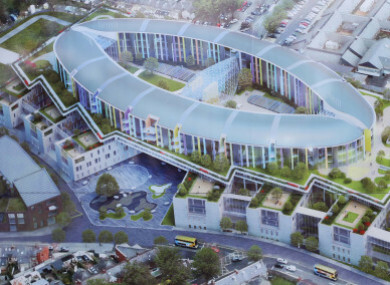 The new children’s hospital is currently estimated to cost €1.7 billion – though it is predicted the final bill could be closer to €2 billion. “The release of further minutes and documentation to the Health and Public Accounts Committee in relation to the National Children’s Hospital overrun today raises many more questions and shine a light on absolute incompetence at all levels of this project,” said O’Reilly. The minutes detailed the existence of sub-committees within sub-committees, of working groups within sub-committees, and of another smaller board existing and operating within the National Paediatric Hospital Development Board, of which there appears to be no minutes for its meetings. The documents also detail the scale of mismanagement at the heart of the National Children’s Hospital project and the dearth of engagement or oversight by the Minister for Health despite being informed of rapidly escalating costs. The fallout for government has now resulted in the Minister for Finance and Public Expenditure Paschal Donohoe having to outline a hit-list of projects that will be impacted in order to meet the shortfall in funding for the hospital. Quick to point out that no projects have been cancelled, casualties as a result of the overruns include funding to the arts, climate action, and flood defence. No hospital projects will be cancelled, but repairs and equipment replacement will be delayed due to the mismanagement of the project. Email “New children's hospital memos show costs were on the up from summer 2017”. Feedback on “New children's hospital memos show costs were on the up from summer 2017”.